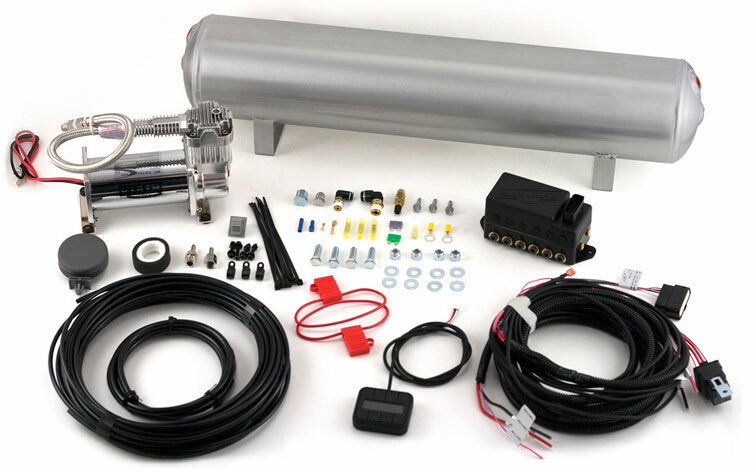 The term Air Ride Management is a phrase used to describe the way your air suspension system is controlled. Whether it be manual paddle valves or the most advanced auto levelling system on the market, the management you choose is one of the most vital parts of your install. Air Lift Performance 4-Way Manual Management is the default package as supplied as part of the combo kits. It is designed to be as economical and price conscious as possible yet still offering full control and adjustment over all 4 corners of the vehicle. 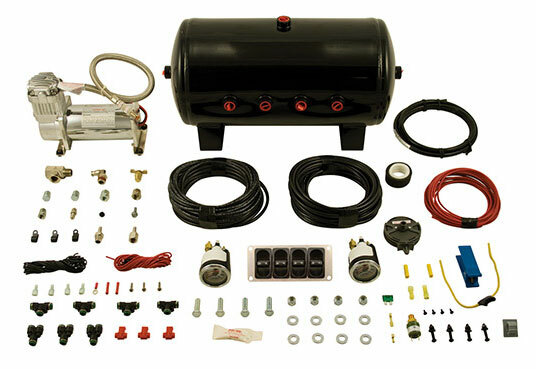 Air Lift is proud to introduce the most advanced pressure based air suspension control on the planet! The sleek V2 controller is protected in a rugged, rubberized coating to help protect against the occasional drops and scratches. Display readout shows individual corner air pressure and tank pressure. You can select your pressures to be displayed in PSI, or for our friends across the pond, we now have an option for BAR!! To give you the ultimate in personalization of your system we have loaded the multi-color display with 512 color combinations! Believe it or not all of this technology fits in the palm of your hand and only takes one wire to connect to your wire harness. Not only does the V2 give you 8 different presets to tailor to your ride heights needs, but it also "learns" your vehicle to provide incredible accuracy with every push of the button. As you roll low, the V2 will constantly monitor your pressures and adjust accordingly to your presets. V2 also allows you to control your system manually, for the ultimate in independent 4 corner adjustment. With the raise on start feature, you won't even have to touch the controller! Fully laid out? Raise to your ride height as soon as you turn on your ride and you're ready to go. For more information on other management solutions available please contact one of our sales team in the office.